Features: 1. Display line power. 2. Display and memory accumulative total power quantity. 3. Display and memory total power charge of price. Specification: Power supply: 230V 50Hz Max. Load: 16A 3680W Min. Power display: 0.1W Measure power accuracy: +/-2% or +/-2W(0-100W);+/-2%(100-3250W) Power quantity accuracy: +/-2% Min. Power quantity display: 0.01KWH Accumulative power quantity range: 0.00-9999.9KWH Price range: 0.00-9999 Operation: Keyboard Definition Set: Set price with button UP. MODE: Exchange display state. UP: Set price combined with button SET. 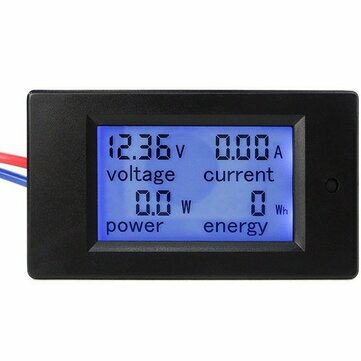 The data display Press MODE button the data displays as follows, W→KWh→PRICE→COST/KWH 1. Plug in socket and power on, the meter will display real power. 2. Press MODE button once again and release, the meter will display accumulative KWh. 3. Press MODE button once again and release, the meter will display total power charge. 4. Press MODE button once again and release, the meter will display COST/KWH. Setting Price of COST/KWH 1. Press SET button during display COST/KWH, the first digital COST/KWH flash, press UP button to set it. 2. Press SET button once again and release, the second digital COST/KWH flash, press UP button to set it. 3. Press SET button once again and release, the third COST/KWH flash, press UP button to set it. 4. Press SET button once again and release, the fourth COST/KWH flash, press UP button to set it. 5. Press SET button once again and release, the radix point COST/KWH f.
Compare prices and save time and money !! !